We’ve given our website a refresh to give homebuyers and sellers the best possible experience when searching for and viewing properties. Introducing a fresh look to the home and property pages, we’ve made it even easier to fall in love with your dream home, with large scrolling images and automatic property suggestions based on location and price. 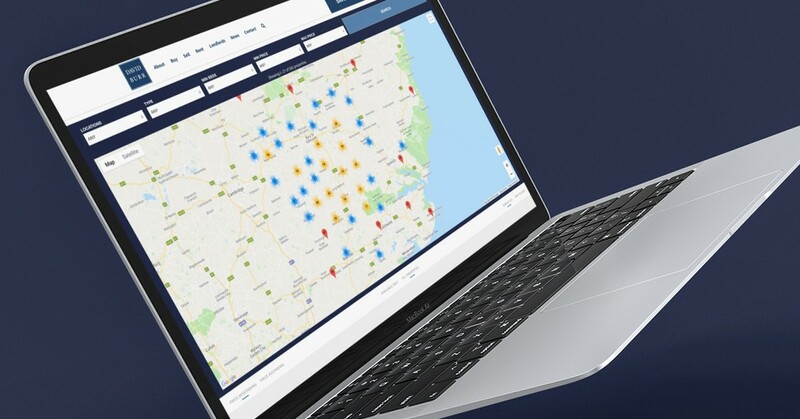 Most excitingly of all, our map search feature highlights all available properties in a specific area in a visual way, making it even easier to find homes in your preferred location. If you’re looking to sell, we’ve made it more straightforward to arrange a valuation. Simply fill in our FREE online valuation form and a member of our team will get back to you to arrange an appointment. We’ve also made several other changes behind the scenes, to make the site smoother, faster and more intuitive to use. We do hope you like the updates. If you have any comments, please let us know. While you’re here, don’t forget to follow us on social media using the links below. Our channels are packed with all the latest news and features from the property world, as well as competitions and property listings.